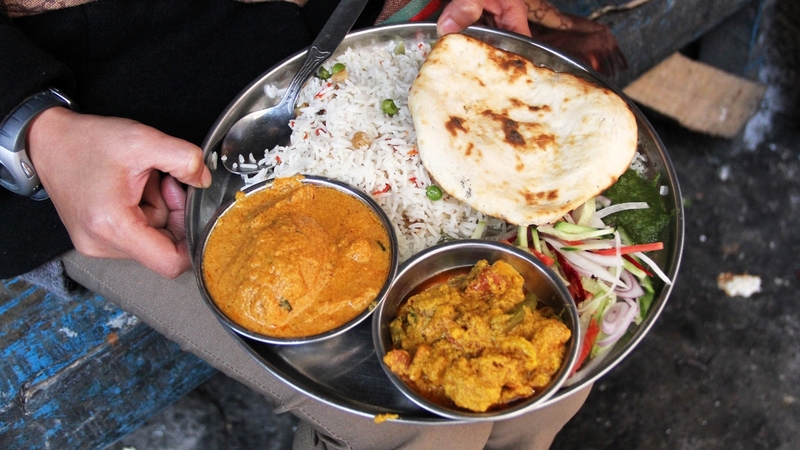 When I visited India, I went with a main intention to eat, of course. And as soon as I flew into Kolkata, I knew that I was in Indian street food heaven. Kolkata is a giant city, India’s third largest, and while it’s chaotic and busy in every way imaginable, this makes for an environment where street food is everywhere to be seen. After doing a little research, I decided to go to a street in Kolkata that’s now known as James Hickey Sarani, but is better known by its former name of Deckers Lane. Mention Deckers Lane to most locals in Kolkata, and the most delicious selection of Indian street food will come to their minds. And that is exactly where I wanted to be, and where I found some truly wonderful Indian food in a very nice environment. The street is best during the lunchtime hour when many folks are out on their lunch breaks and hungry. Deckers Lane fills up with people devour plates of food, walking up and down, sipping on clay cups of chai, and motorcycles honking while passing by. Having not a clue where to eat first, I settled upon a masala dosa stall and that’s what I ate (video later). But that was just warm up. After the masala dosa I couldn’t help myself from going to the stall that was receiving the most continual flow of customer – there was one stall where there was a huge crowd huddled around eating and waiting for their food and it looked the best. So that’s exactly where I went. I got in line, a line that didn’t really exist, and finally had the chance to talk to the guy taking order. I first got rice and then under his recommendation had the potato curry, some mixed vegetable curry, and a few pieces of tandoori roti to top things off. I was incredibly excited to start digging into my Kolkata street food feast. The meal was food influenced from north India, rather than local Bengali dishes. It was rich and creamy, and the curries were strong and absolutely flavorful. Using the rice and tandoori roti, I was able to scrape up everything and fully enjoyed every single bite of this meal along Deckers Lane in Kolkata. The men eating at this street food stall along with me, were all pretty friendly too, particularly the man in the purple sweater who gave me some good tips and named the dishes I ate as he was eating too. You can just see the passion and intense love of the food he has on his face too! So anyway, this was one of my first meals in India, and it proved to be an absolutely delicious meal that I would eat over and over again if I lived in Kolkata. The entire Kolkata street food meal cost me 40 Indian Rupees, which is about $0.72, a pretty decent steal in my opinion!